I have previously written about Bitdefender Total Security 2015. If you are not a very big fan of latest Security suites and would rely one a bit older technology, you may want to try out Bitdefender Internet Security 2014 with 6 months license absolutely free. Bitdefender is one of the best security product for securing your computer from digital threats like viruses, spyware, trojans, hackers, scammers etc. According to AV-Test results, Bitdefender provides the maximum protection while having lowest impact on performance of the system. 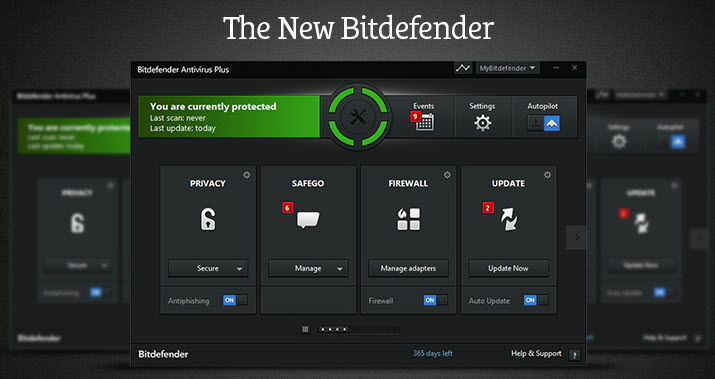 Bitdefender suite of privacy protection tools is quite interesting as it incorporates many tools into a single solution. It comes with features like social network protection, discrete parental controls, device anti-theft etc. This is the standard feature of almost all good Internet security suites. This feature protects you from hacking attempts while you are using your bank account or shopping online. With Autopilot, you will not be disturbed while working as Bitdefender will automatically and intelligently handle security related decisions without requiring user input. The wallet is a tool where you can save your important credentials like usernames and passwords of important online services. In addition to keeping your credentials safe, they will be available to you at your finger tips. If you want to open your bank website or want to go e-shopping, Bitdefender will open these sites in a separate browser with enhanced security so that your information and transactions remain as safe as possible. Now Bitdefender Antispam comes with cloud support, better spam detection and very less footprint resulting in better performance. For installing Bitdefender Internet Security 2014, the user must be running Windows XP SP3, Windows Vista SP2, Windows 7 SP1 or Windows 8. The computer should have a processor of Core 2 Duo 1.6 GHz 1GB RAM for Windows XP, 1.5 GB for Windows Vista/7 and 2.5 GB for Windows 8. There should be 2 GB of free hard drive space for the Internet Security to work properly. Within the next few minutes, you will get an email from noreply@bitdefender.com with your 6 months free license code. That’s it. Now you can proceed to the next step of downloading and installing the security suite.